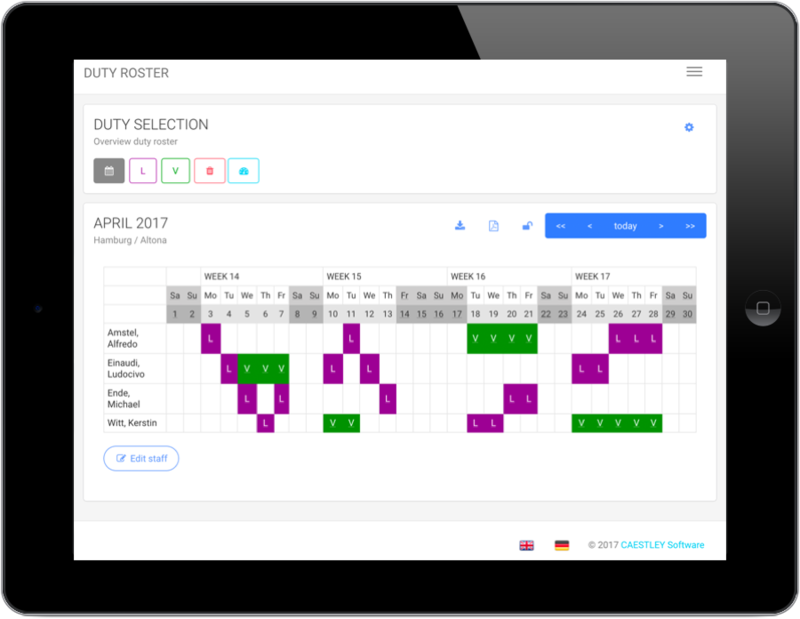 ROOSTLE DUTY ROSTER - Register for free and plan your work schedule today. ROOSTLE duty roster is very easy to use - just like pen and paper. Just add people, assign them to a department and work with your own defined duties (e. g. early duty, late shift, vacation, absence). You can also generate reports at the click of a button. Individuals can get personal access to the ROOSTLE platform and enter or delete enabled duties themselves. Alternatively, you can simply grant read access privileges. ROOSTLE duty roster is free for up to 2 people. Adding more people costs just 1 euro per month per additional person. Accounting is taken care of using purchased credits. No subscriptions are required. 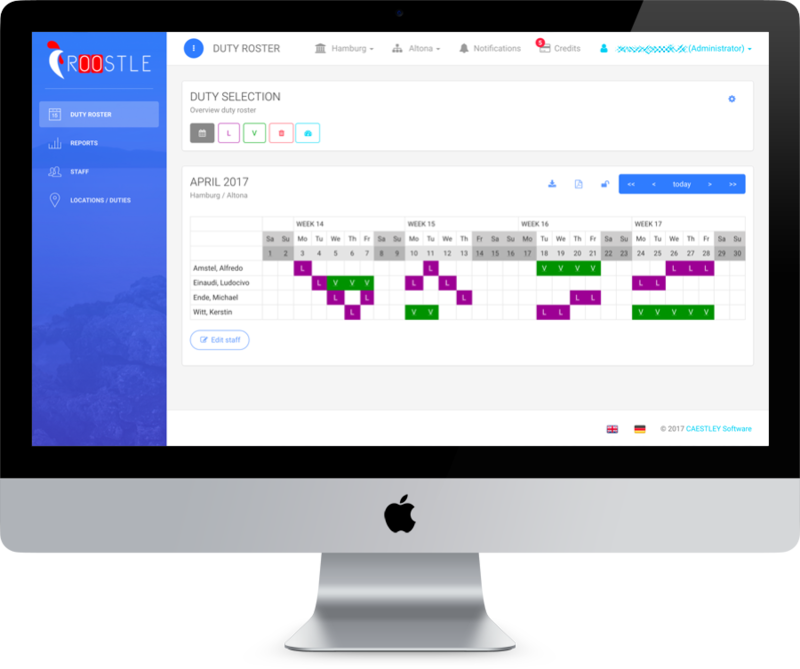 With ROOSTLE you can easily and quickly create demand-oriented and cross-functional duty planning via the web. Online access means your data is always up to date. Employees will like it for its preferred duty planning capabilities and their more efficient use of their working time. Joint duty planning will optimize the administrative effort, and will save you precious time and money in the end. 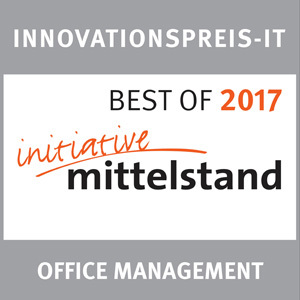 Initiative Mittelstand is a German initiative which awards its IT Innovation Prize 2017 to innovative products that offer substantial benefits to small- and mid-sized enterprises. The expert jury awarded ROOSTLE duty roster the IT Innovation Prize 2017 in the Office Management category.